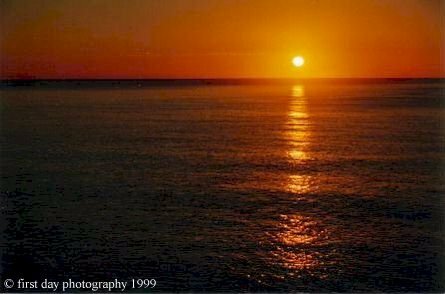 Would you like to remember the first sunrise of your baby's life ? 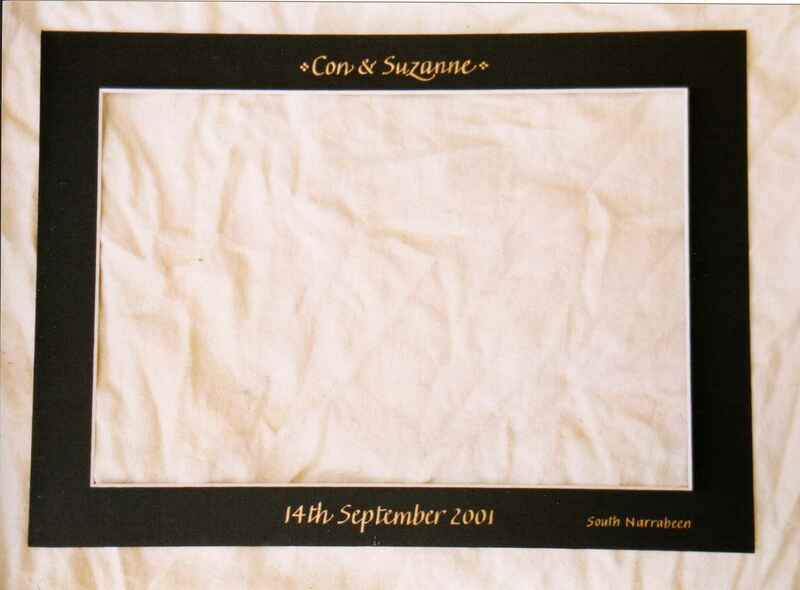 Available sizes : 6" X 9" , 8" x 12" , 12" x 18" , 16" x 24"
Available sizes : 6" X 9" , 8" x 12" , 12" x 18"
Includes : Personalised calligraphy. 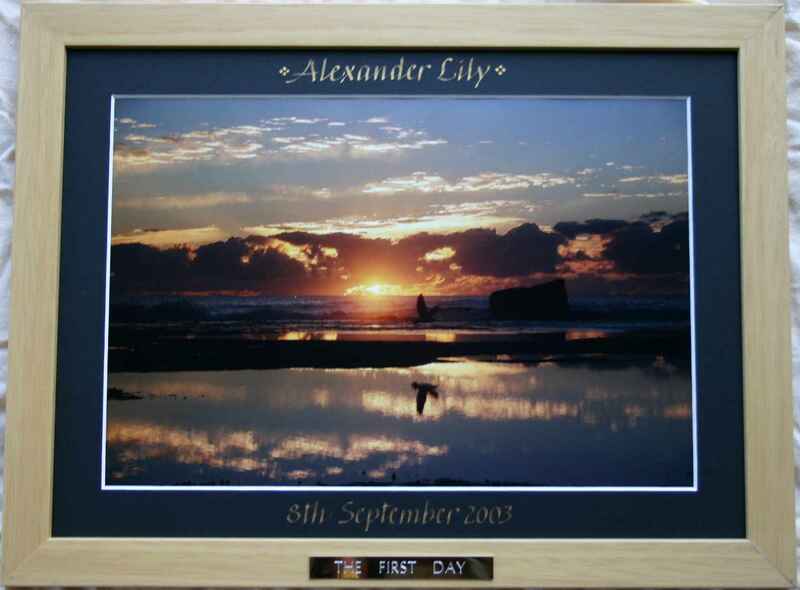 Choice of light or dark traditional wooden frame. 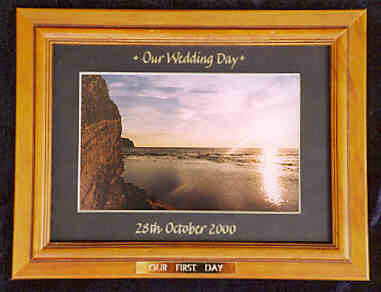 NEW also choice of black or pine modern frames. 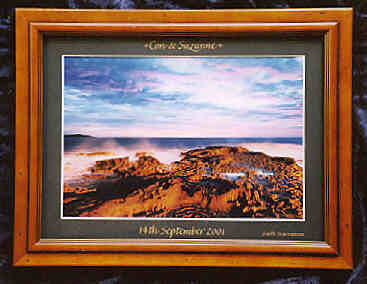 Available sizes : 6" x 8" , 8" x 12" , 12" x 18" , 16" x 24" and 20" x 30"
All frames include acid free backs. 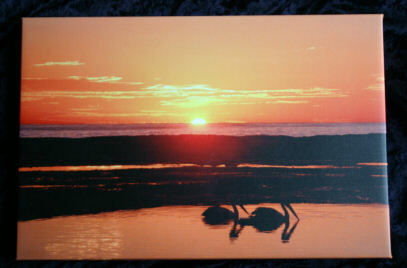 Available sizes : 12" x 18" , 16" X 24" and 20" X 30"
NOTES Customised orders available on request. 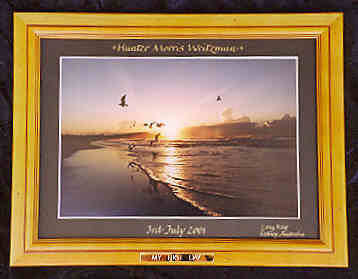 Calligraphy is hand done by professional calligrapher Susan Latty. 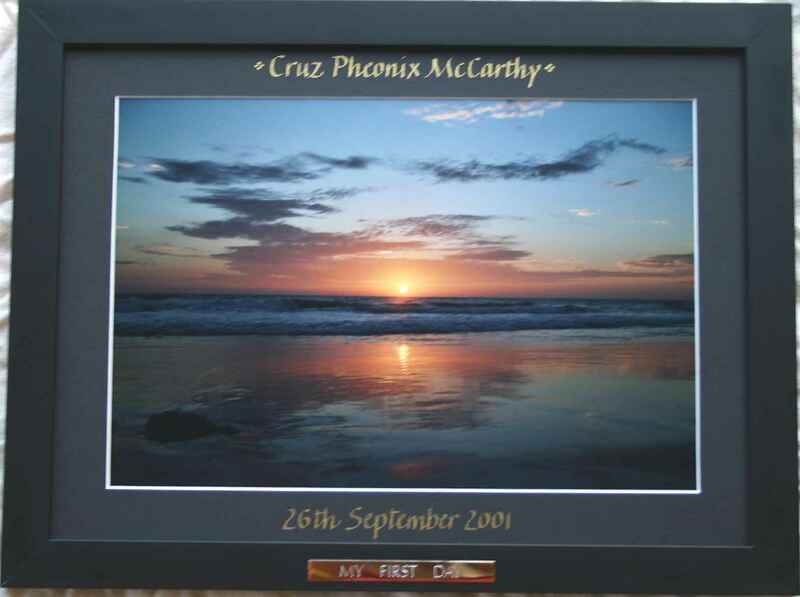 Each framed photograph comes with a choice of engraved plates. 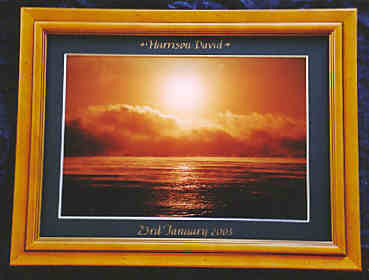 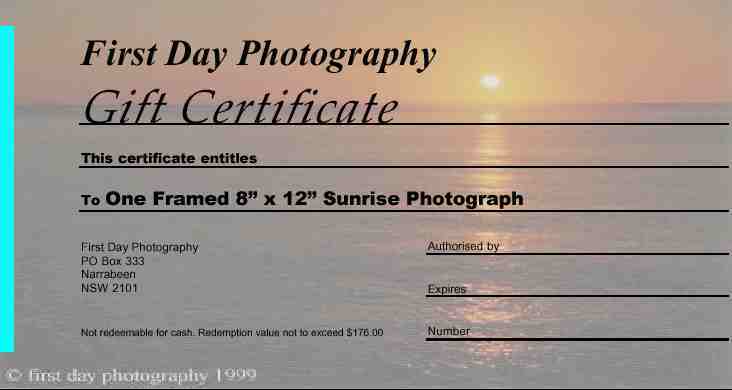 "HAPPY BIRTHDAY" or "IN MEMORY OF"
Dimensions quoted are the size of the print (The frame is larger).